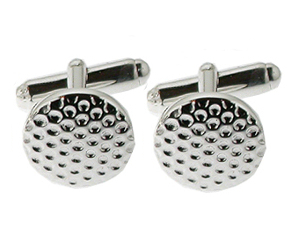 These solid sterling silver golf ball cufflinks are sure to make your golf fanatic a very happy recipient. They create a perfect gift for all year round and will look smart on any shirt. They are each handmade in solid sterling silver and hallmarked at the Birmingham assay office.